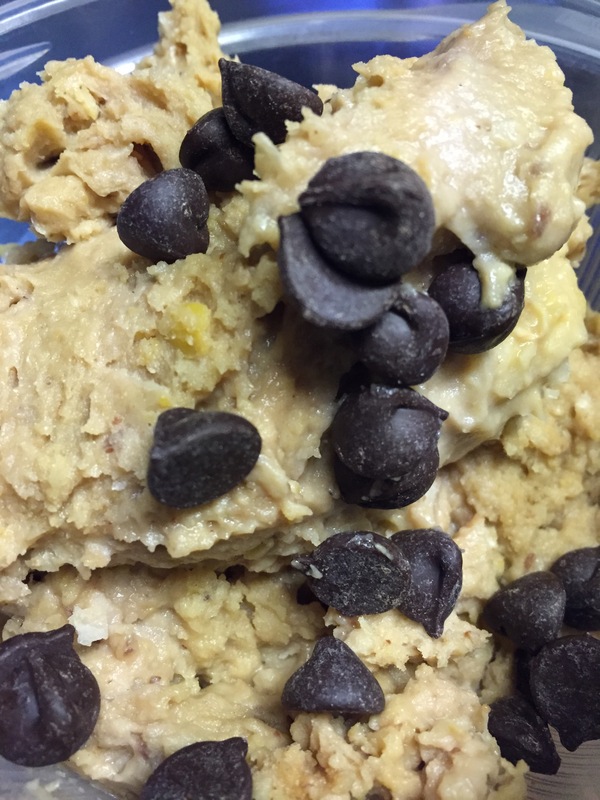 GUILT-FREE Chick Pea Protein Cookie Dough! When I was younger I remember sneaking into the fridge late at night, taking baby bites out of the pre-made Pillsbury cookie dough my mom would buy. Eventually I’d give in going back for more and noticed even more missing! This means I wasn’t the only guilty one! 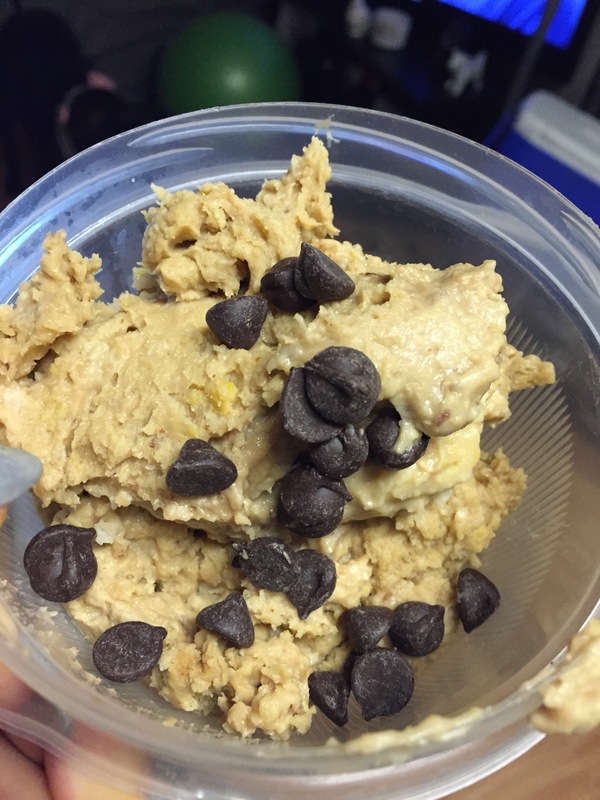 This recipe is perfect to curb those cookie dough cravings and indulge without feeling bad about it! ♥ pinch of salt (Less is more! I recommend slowly adding it in to taste) Himalayan salt is great to use if you want that real cookie dough, grainy texture! 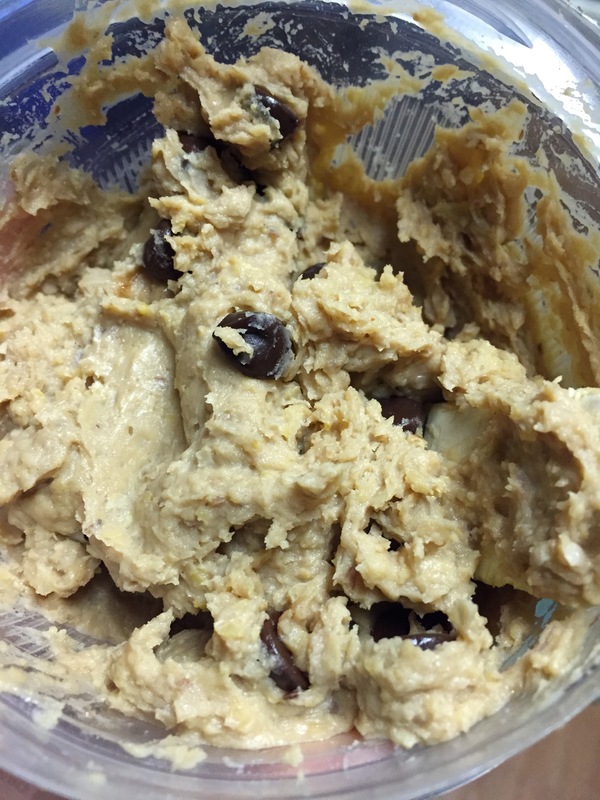 Blend everything but your chocolate chips into your food processor. Eat batter as is or store in an air tight container in your refrigerator. I did this before I ate it mine so I could have that cold, close to the real deal cookie dough taste! I haven’t had any REAL raw cookie dough in lord knows how long! I remember it being a little grainy and tasting the little bits of sugar in my teeth. You don’t get that same feeling with this recipe. Next time I might play around with some light brown sugar and see how that works! Chick peas are high in fiber, protein, iron and contribute to lowering your cholesterol and keeping blood sugar levels low. Enjoy you little cookie monsters! Yum! Just shared this on my Facebook page. Totally planning on making this as soon as I get home!